Now, who doesn’t love chocolate? I certainly do! Though, I try not to eat it too often partly because I know it is not good for you and partly because dairy can make me bloat (attractive, I know!!). 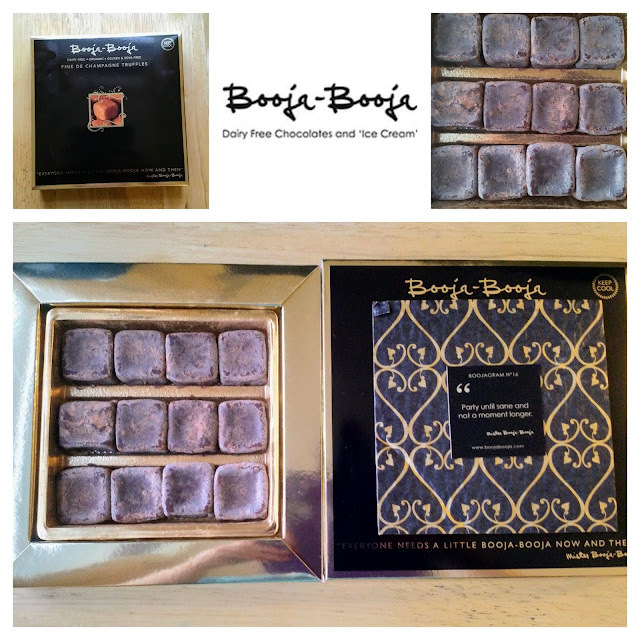 These Booja-Booja Fine De Champagne Truffles are by far my favourite chocolate treat. They are dairy-free and only contain six natural ingredients. Unlike most dairy-free chocolates I have tried these actually melt in your mouth and have a smooth centre similar to the creamy and smooth centre of Lindt truffles. The light champagne taste is subtle and comes as more of a refreshing aftertaste. It takes a lot of willpower for me not to eat the whole box in one sitting! The packaging is also beautiful making them a lovely gift for friends, family and even for yourself! Previous ArticleOne Year Since Graduating: Ten Things I Have Learnt.